The Electric Blue African Cichlid, also called the Electric Blue Ahli, is a fairly typical member of the Cichlidae family. Interestingly, S. ahli was first imported erroneously as Haplochromis jacksoni; however, the two species are markedly different. 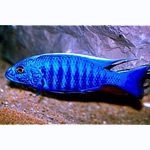 The Electric Blue Cichlid needs both meaty foods and greens such as brine shrimp, blood worms, small fish as well as a quality flake or pellet food containing vegetable matter. Considered a specialized mouth brooder, eggs are fertilized and carried by the female. Within 12 to 18 days, fry are released, measuring 1/4 inch. 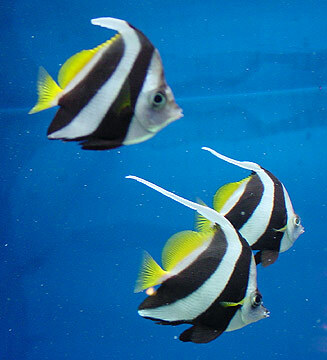 Once released, they do not return to their mother again. Most members of the mouth brooding variety of African Cichlids are easily bred while in the aquarium when given the proper tank set-up and excellent water conditions. A small group of 5 to 7 females and one male will provide the best opportunities for breeding. The Electric Blue African Cichlid does well with other Lake Malawi cichlids when provided with a spacious, rocky tank of 70 gallons or more. 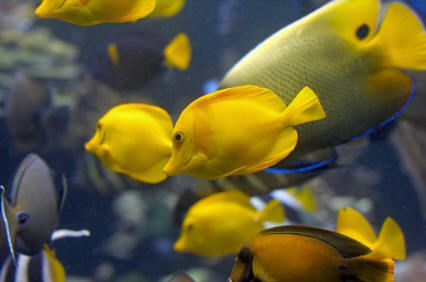 Although plants are extraneous for the Electric Blue African Cichlid, they may be beneficial for other tank members; however, fish larger than three inches will often uproot live plants. 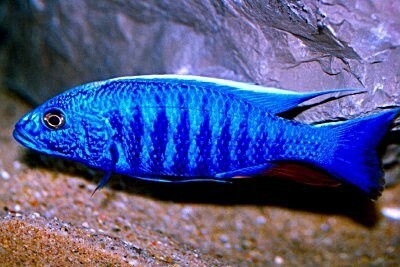 The Electric Blue African Cichlid can and probably will be aggressive toward smaller fish.